After a party gone wrong and in desperate need of money for the fall semester of college, twenty-year-old Nora Robertson needs to escape her hometown. She accepts a summer long live-in tutoring job for a handsome man and his little sister at a secluded home deep in the mountains. My ultimate reading goal for 2017 was to read as many books by new authors as possible. Since the beginning of the year, my goal is divided in two (Debut authors and TBR list authors) K. Larsen has been on my TBR list for some time now. 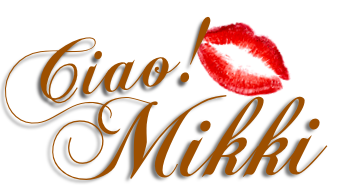 I have heard amazing things about her books by my book sisters. Sometimes deciding on what book to read by an author you have never read before can be overwhelming. K. Larsen has written many books before The Tutor, which is her new release. I decided start my K. Larsen reading journey with The Tutor. I have been on a dark romance kind of mood lately so I knew that this new release was my book of choice. From the captivating blurb to the mesmerizing cover, The Tutor was a dark, intense unputdownable story that left me on the edge of my seat! I was trying to solve the intricate puzzle that was this story. I had many theories with this book. The author did a phenomenal job at keeping me guessing. I never knew what to expect next with this story and that made my reading journey even more exciting. I don’t want to give anything away by doing a recap of this story. I want every single reader that picks up this book to feel all the same emotions that I felt while reading this story. This is what I can tell you about this story without giving anything away. The blurb gives you a pretty good idea of what to expect from this story. Nora accepts a tutoring job in the middle of nowhere. She needs the money so she accepts the job. What she never expected was to be kept captive after her tutoring job was finished. What happens next leaves her with both physical and emotional scars. Love is not always hearts and flowers. Sometimes love is complicated, dark, twisted and unexpected. This story is written in multiple POV's. I have to admit that it was distracting at the beginning of the story, but I did end up enjoying reading all of these POV's once Nora revealed what happened to her. Nora is an intriguing character and her story is chill inducing. Each supporting character in this story plays an important role in Nora’s life. I absolutely loved my first K. Larsen book and it will not be my last. I’m really excited to read her previous work and I’m very intrigued about how things ended in The Tutor. If you are looking for a dark, twisted and captivating story, look no further! 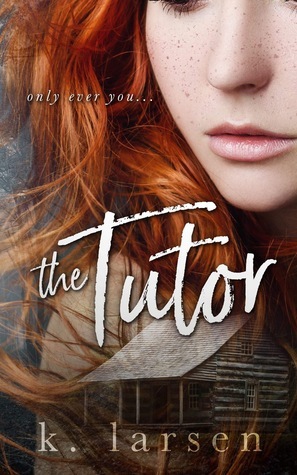 The Tutor is the next book you need to add on your TBR list! I give, The Tutor, by K. Larsen, 4.5 intriguing, intense, twisted, page-turning stars! Love the author's bio. Thanks for the smiles.